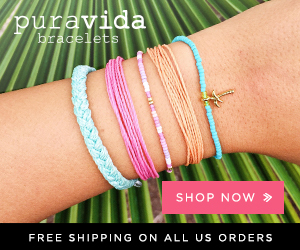 Shop Stella & Dot’s New Aria Collection! Looking for a new addition for your jewelry box? Shopping for a gorgeous jewelry gift? Take a look at the new Aria Collection from Stella & Dot! This is a brand new collection by Stella & Dot that is inspired by their best selling Aria pendant necklace. Wear the short chain by itself or wear it as-is for a layered look – perfect for fall! The Aria Drop Earrings match the Aria necklace perfectly. 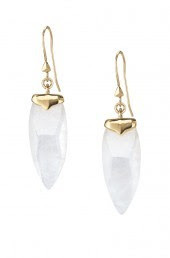 These crackled quartz stones hang from shiny gold earwires and are so gorgeous! 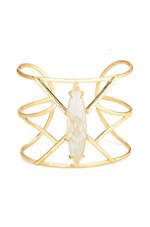 The Aria Cuff is also made of semi-precious crackled quartz stone. Dress it up or dress it down! Check out the full Aria Collection from Stella & Dot now and let us know what your favorit epieces are! 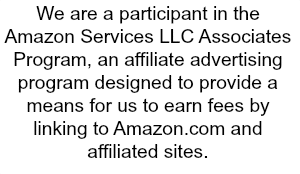 This entry was posted in Jewelry on August 11, 2015 by Ashley.